When the civilized world observes Holy Week, then it naturally means that majority of people believe in the Almighty, in God. The word ‘Holy” says it all. There is nothing “holy” in the vocabulary of atheists or some scientists hence the reference of the many is on belief and faith in God. There is nothing wrong and everything is moral when talks border on holiness. It is however skewed if used as banner in warfare, cause for exploitation, reference for fraud or basis for discrimination. The problem when religion enters the realm of faith is the segregation aspect. When one believes in something holy, the rest of those outside the loop are perceived to be unholy. For Christians, those who are not baptized to their beliefs are called pagans. For Muslims, those who do not subscribe to their faith are referred to as infidels. Generally speaking, when a religion adheres to a Supreme Being, those with contrary views are already ascribed as demonic. 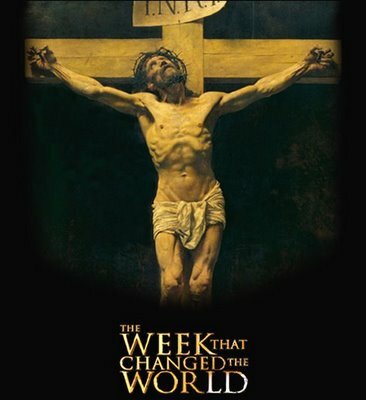 As Christendom observes Holy Week, the faithful are reminded on the life and times of its symbol, Jesus the Christ, the Son of God. While it is true that Jesus of Nazareth is a historical figure, none of his humanly attributes has been highlighted. Jesus is depicted as God and therefore the qualities of an Almighty are immediately inferred. Hence, Jesus can walk on the waters. He can multiply bread from nowhere to feed the multitude. He can heal the sick, restore the sight of a blind man, and bring back to life the dead. And as he lay prostrate on the cross badly beaten and injured, he would die but would eventually resurrect back to life on the third day. For Christians, Jesus is God. Rome, which was the seat of ancient paganism, became the citadel of Christian faith, the capital of Christianity after a period of tumultuous struggle. While it the Romans who sentenced Jesus to death, after a period devoted to torture, it subsequently embraced the teachings of its judicial victim and ironically, even elevated the person it tortured to death up on the pedestal of Celestine supremacy. Right at the heart of Rome, what is known today as the Vatican, resides the representative of the Christ. As if torture and sending Jesus of Nazareth to death is not enough, the symbol of the tortured and maimed Christ is even used as symbol of the Roman Church! From there various literary gems were devoted. The Bible was published. Classic literature was fashioned right from the inspired verses of the Good News. The life of Jesus was immortalized several folds even if in the process, the lives and myth of Greek gods and heroes were even lifted for purposes of impression. Everything pagan was reformatted and synchronized so that pagans would eventually be evangelized into the fold. Rome may not have succeeded to conquer the world through force; it might as well invade it through faith. And three fourths of the civilized world indeed was proselytized in the process. Today, Jesus lives in the hearts of men outside the structure that used Him for their glory and purpose. Posted on April 17, 2014, in Uncategorized and tagged civilized world. Bookmark the permalink. Leave a comment.